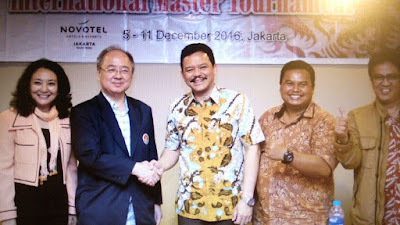 The JAPFA Masters Tournaments - International Masters and Women International Masters Round Robins - will take place at the Novotel Gajah Mada in Jakarta, Indonesia 4-12 December 2016. I have been honoured to be invited to be the Chief Arbiter. 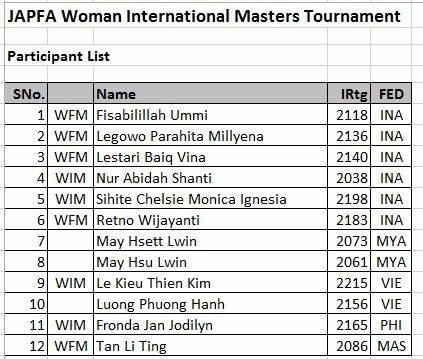 Players have now been confirmed for the two tournaments to be played over eleven rounds and seven countries are represented with half of the participants coming from hosts Indonesians. 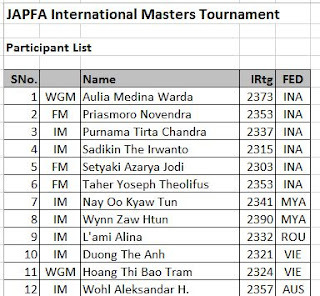 Interestingly enough, there are no less than three women, all with the Woman Grandmaster title, playing alongside nine men in the JAPFA International Masters Tournament! We are represented by Tan Li Ting, Malaysia's No. 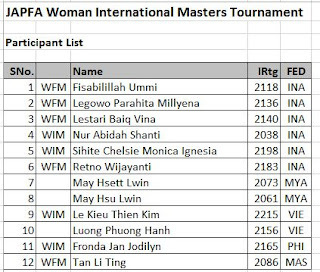 1 woman player, who is playing in the International Women Masters Tournament and will be hoping to get her second Women International Master title norm.